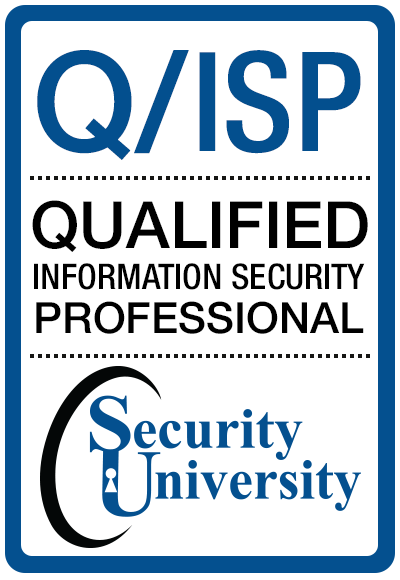 The mission of SUT Q/ISP Qualification/ Certification is to provide high assurance to employers their staff and prospective hires have "qualified and validatedâ€ cybersecurity skills to do the job of a cybersecurity professional. SUT is the legal entity and has the authority to implement the policies of the certification body. SUT is the designated entity with oversight of the certification functions and does not report to another area in the legal entity. SUT has the authority/oversight to establish candidates' eligibility requirements, authority/oversight to establish examination content and passing standards, enter into agreements for test-related services with third-party contractors, to develop, approve, and implement procedures for the processing and maintenance of certification documents. SUT has the authority/oversight for establishing requirements for renewal/recertification, disciplinary action, and examination administration procedures as well as the authority/oversight to develop, approve, and distribute information about the program to candidates, and other stakeholders. Cyberspace has transformed the daily lives of people for the better. The rush to adopt cyberspace, however, has exposed its fragility and vulnerabilities: corporations, agencies, national infrastructure and individuals have been victims of cyber-attacks. With that said, there is a need to create a strategic plan for cybersecurity education to get ahead of risk, bolster education and training in cybersecurity, establish a process and methodology of cybersecurity education for the current and upcoming workforce at Cyber Commands and in Industry. To achieve a strategic cybersecurity education plan, Security University developed 4 Certificate of Mastery programs (Q/ISP, Q/IAP, Q/SSE Q/WP) to teach cyberwarriors cybersecurity skills based on the job task roles . SU has crafted an innovative and efficient cybersecurity education process that results in an unrivaled cybersecurity workforce and citizenry capable of advancing America's economic prosperity and national security in the 21st century. SUT exams are a mechanism by which professionals can demonstrate and VALIDATE their MASTERY of essential core security skills, knowledge, principles and qualifications relevant to a particular cybersecurity skills field. Qualification programs differ from certification programs. SUT Certificate of Mastery qualifications include validating competency and skill in the field and passing a proficiency examination which ensures SUT CoM individuals met the rigorous standards established by the certifying body. By contrast, certificates are awarded at the completion of a SUT exam. What is the benefit of obtaining a SUT Certificate of Mastery? SUT practicals are known world wide as the standard for performance based cybersecurity skills validation. 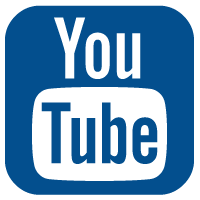 Any SUT Certification of Mastery provides employers and consumers with the highest level of tactical skills competence and assurance that the certified cybersecurity professional has attained a qualified and validated level of understanding and particular skill set (performance based labs), and has maintained a qualified level of hands-on expertise over a specific period of time. The requirement for renewal of certification ensures that certified, qualified and validated individuals continually maintain and expand their knowledge and hands-on skills in cybersecurity profession while keeping abreast of advancements and updates in their Certificate of Mastery field. Certification is required for employment in some professions, whereas in other fields, certification and qualification provides a competitive advantage to individuals who hold a particular performance based credential.